Neud Natural Hair Inhibitor is the best way of permanently getting rid of unwanted body hair. Its next generation formula targets the roots of hair shaft and deactivates the hair bulb activities responsible for hair growth. It penetrates to the level of hair follicle sac and restricts the growth of unwanted body hair. It is a painless method for getting rid of unwanted body hair and it can be used by both man and woman. It is formulated with 100% natural ingredients and plant extracts, hence safe for all skin types. It can be used for unwanted hair on any part of the body. It gives you a feel of soft and soothing skin after usage. Explore the entire range of Shaving & Hair Removal available on Nykaa. 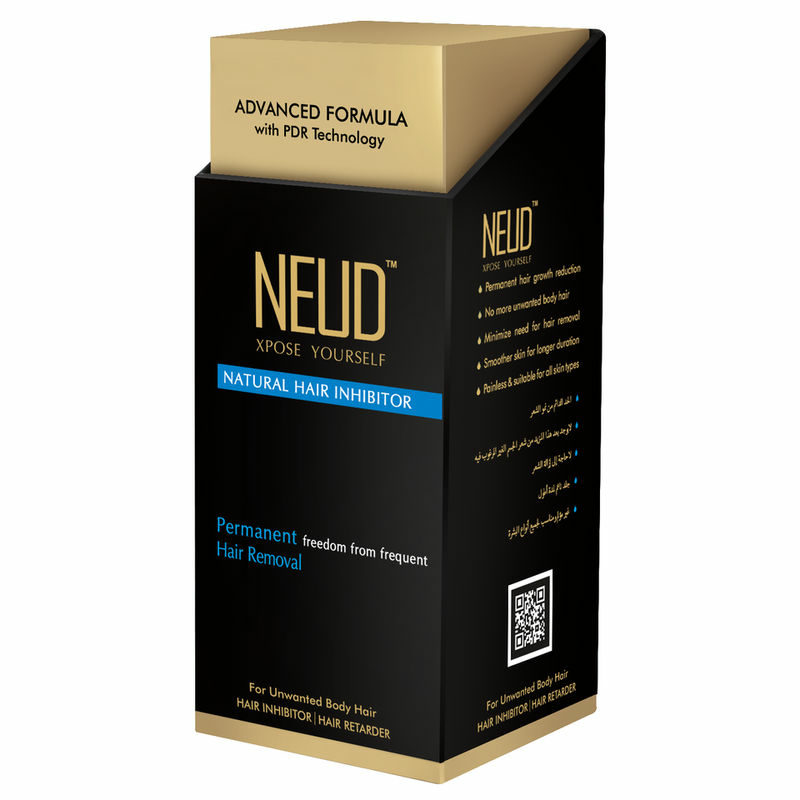 Shop more Neud products here.You can browse through the complete world of Neud Shaving & Hair Removal .